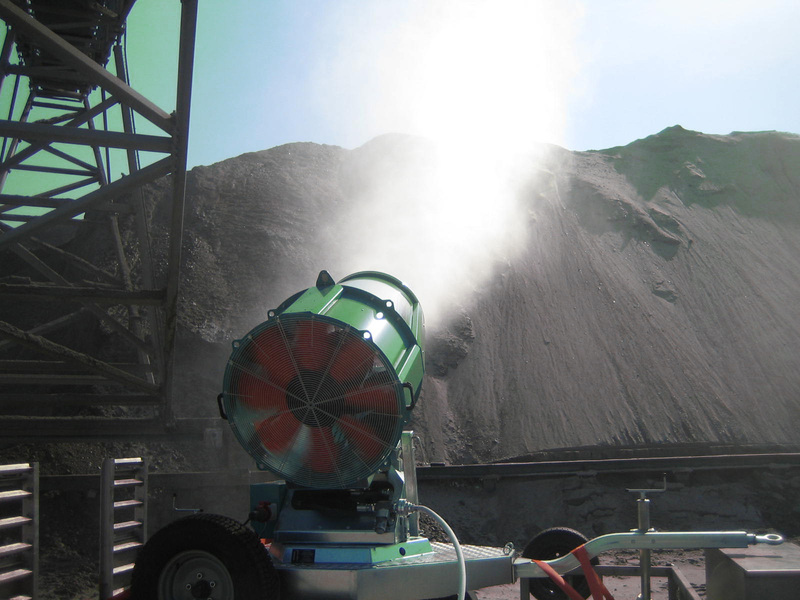 Dust control at Active points of transfer and active stockpiles is without doubt the most challenging to control. At the same time not controlling the dust effectively in such areas not only make a major contributor to polluting the environment, it also creates a health and safety issue for everyone in the proximity. 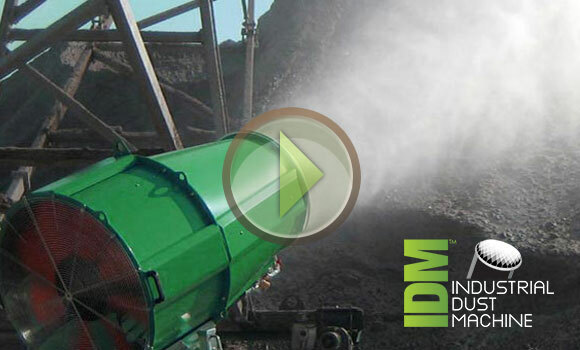 Soil Solutions development of Industrial Dust Machines known as “IDM” there are several standard models and we also can tailor make a machine that fits the specification required to achieve the dust control needed. These IDM machines are compact mobile units that operate as individual units that are completely self contained. The IDM units are mounted on a flatbed – and are powered by a compact generator unit and can spray water or a chemical dust suppressant up to 600 meters – allowing the dust to be captured while airborne and brought down to the ground effectively preventing this airborne dust from travelling. Due to the mobility of these units they can be placed where needed. The IDM units come with a remote operating option that allows the unit to be controlled from an external point. Depending upon the size and height of the site one or multiple units can be used or rotated.